Fall in Northwestern Ontario is an amazing time. We have cooler days, leaves changing colour and the fishing is hot. It’s a good place to be. 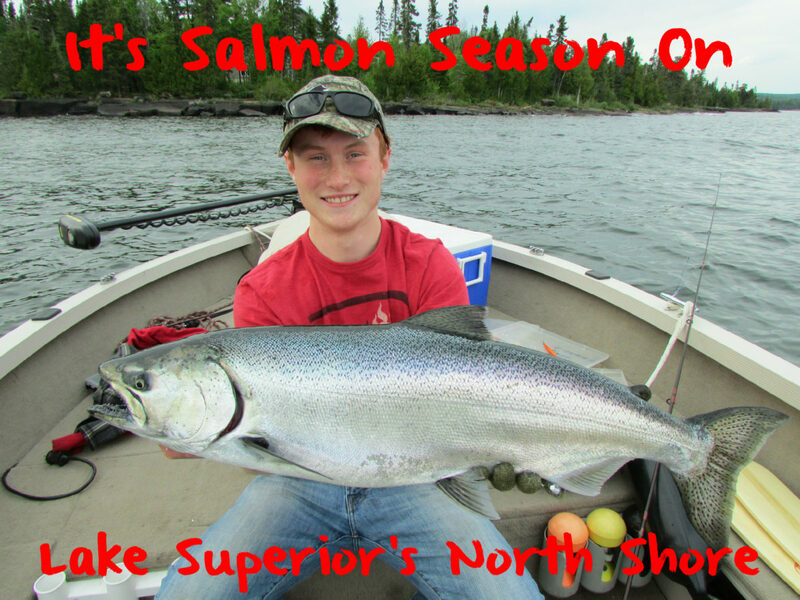 The fall salmon run is in full swing along the north shore of Lake Superior. Healthy runs of Chinook, pink, the odd Coho and plenty of fall steelhead are around. This run hasn’t been epic, but we can classify it as typical. There’s lots of fish around. There are still fish in the lake and fish in the rivers, too. Most anglers have migrated to fish the tributaries. Various tributaries from Thunder Bay to Nipigon to Marathon to Wawa are holding salmon and some steelhead now. Fishing should be fair through late October. The north shore of Superior is host to a large number of tributaries that hold fish, from creeks you can nearly jump across, to the Nipigon River, a massive river system that at this moment is full of big spawning Chinook and thousands of pinks. It is also home to steelhead, brook trout and lake trout (the trout are closed to fishing now). The Nipigon is a productive system to fish and is accessible to everyone. Those with a rod and rubber boots, waders and boaters have a home here. There are several access points and many have fishable water from shore, the most common being below Alexander Dam. This spot has water that’s perfect for running a float above Pautzke cured spawn. When fishing the Nipigon from my boat I prefer to troll spoons and crankbaits doused in Pautzke Liquid Krill. Meanwhile, bottom bouncing roe for fall steelhead, is effective, too. I’ll take salmon or steelhead roe that I’ve cured with BorX O’ Fire, put them in spawn sacs and bottom bounce it with a slinky weight rig. As you travel down the north shore there are a variety of other rivers prime for float fishing that right now harbor runs of Chinook, pinks and coho as well as steelhead. Water levels in some of these smaller tributaries have been low and may limit the fall steelhead fishing. On the other hand, if levels rise with precipitation conditions for fall steelhead could be ideal. When fishing these north shore tributaries I mainly float fish, again running spawn sacs cured in BorX O’ Fire below a float. Float fishing with roe for spawning salmon and fall steelhead can be exciting and addicting. As much as I enjoy trolling larger river systems, tangling with a big Chinook on a float rod is a rush. When preparing your roe for a fall trip curing them with BorX O’ Fire is a simple way to preserve your eggs. 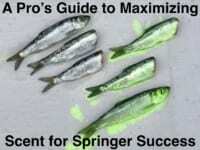 If you harvest a fish full of eggs it’s best to bleed the fish immediately to keep blood out of the eggs. Ideally, you’ll remove the eggs and put them in a Ziploc, keeping them in a cooler for the trip home. If they’re loose eggs bag them up and when you get home cure them immediately with BorX O Fire. 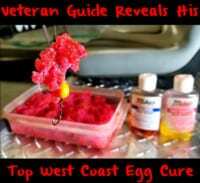 Since it’s much easier to watch then read about how to do it, here is a link to a quick video showing how simple it is to cure loose eggs: https://youtu.be/dLaaSQZZyjQ. Editor’s Note: Outdoor writer Tom Armstrong lives in Thunder Bay.